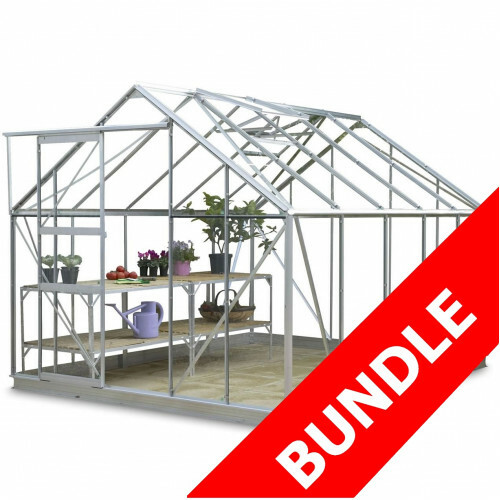 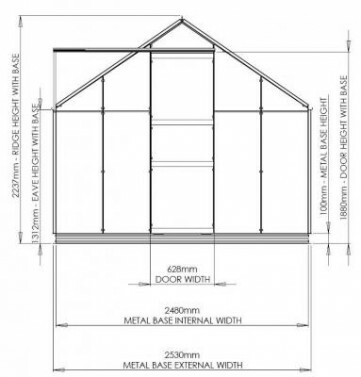 This Bundle is Unbelievable Value for Money, An 8x10 Greenhouse fitted with Long Pane Toughened Glass, Metal Base, 10' Long x 14" Wide Folding Wooden Staging, Rainwater Downpipe Kit and 2 Roof Vents with a great saving. 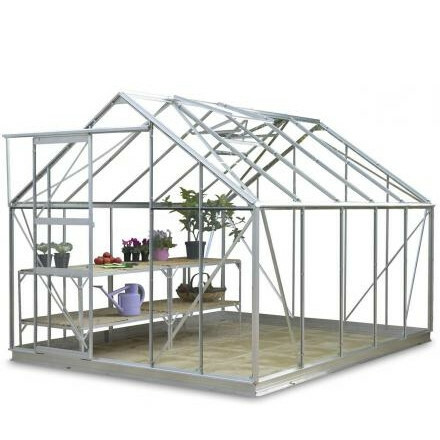 This premium greenhouse is an absolute steal at this price. 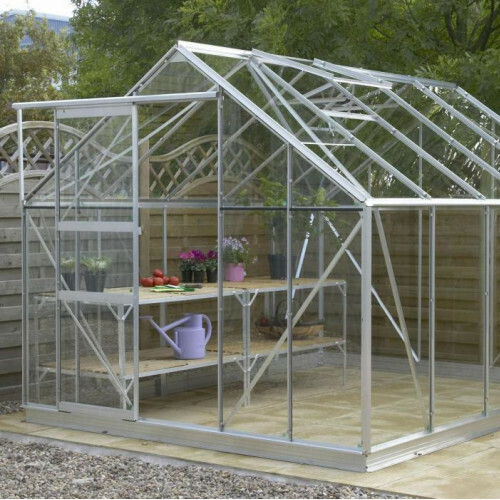 The greenhouse is designed and made in the UK, and is stronger than any greenhouse in its class, and guaranteed for 10 years. 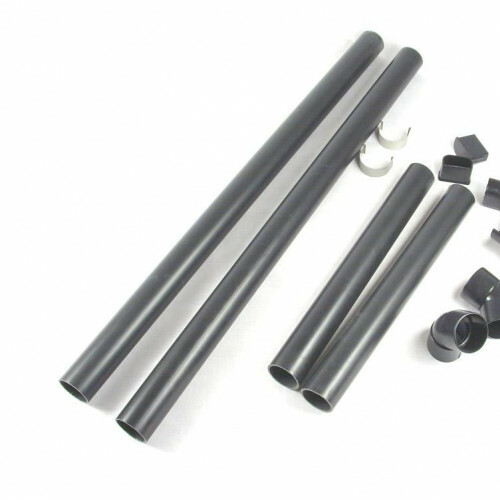 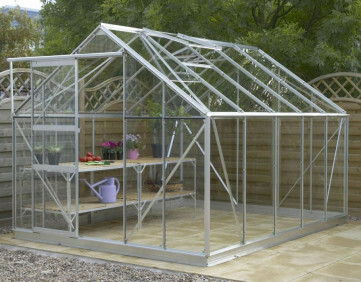 Stainless Steel band clips are used to secure the glass in place, rather than standard galvanised wire clips which most greenhouse use. 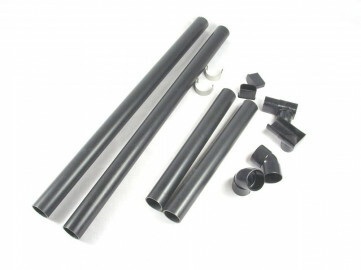 Brass-centred, nylon wheels will outlast normal PVC greenhouse wheels many times over. 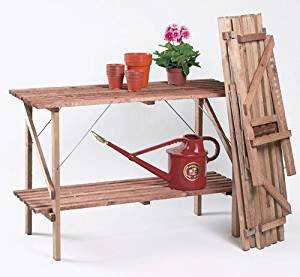 All these premium features are now available on this greenhouse for a great price.